The beautiful lines of Chicama. 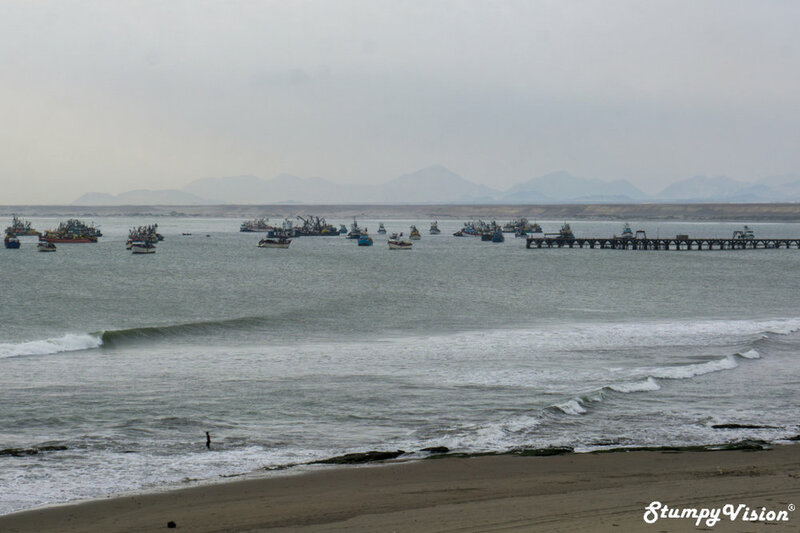 I ventured to Northern Peru In July of 2017 in search of the self proclaimed longest wave on the planet, Chicama! 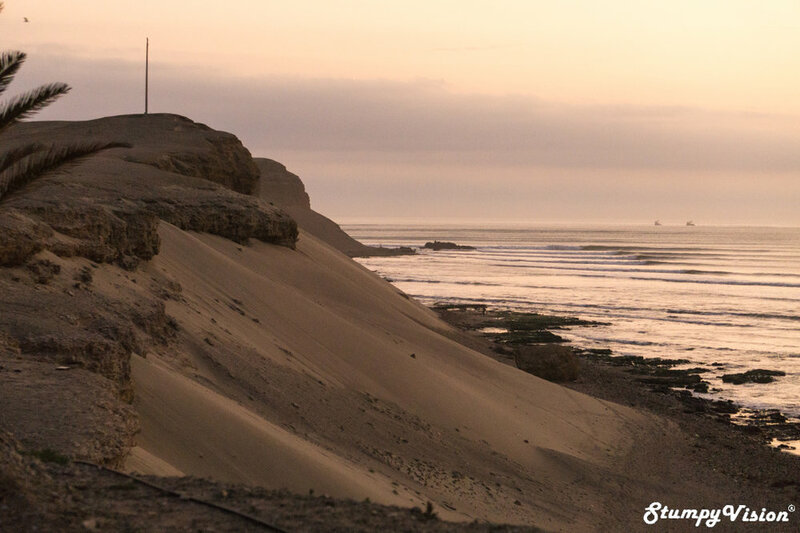 Mythical Chicama is surrounded by unwelcoming and unforgiving desolate Peruvian desert and sits just a stones throw away (two hours) from the iconic surf town of Trujillo. 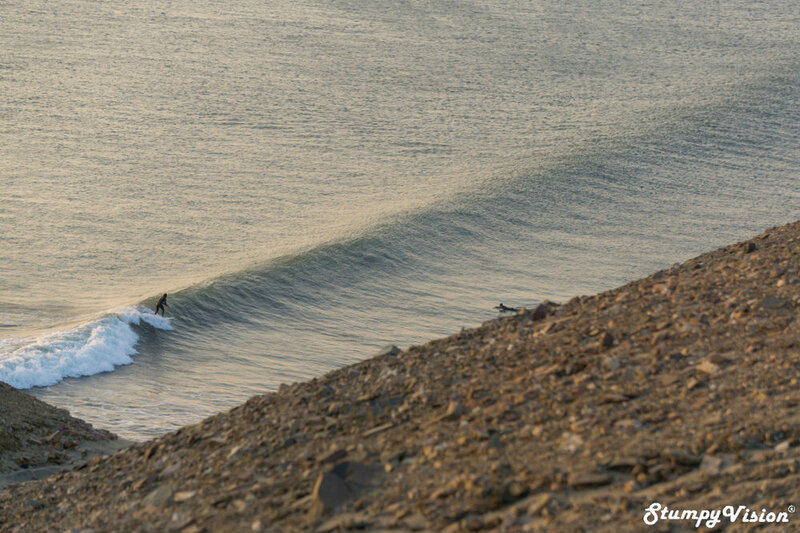 Chicama has garnered its global fame by regularly dishing up some of the longest rides on the planet where wave lengths are reputed to have been clocked in the minutes. Classic Chicama, days we all dream of. The line-up watches on in jealousy. Milo, the blonde Gringo Chinaman. Myself (left), evil Josh, chilled Morgan and our new best mate Chicama. Josh, Vinny and Morgs mid walk. Josh scores one of the waves of his life at Chicama. Rumour has it that when the conditions are perfect it is possible to ride a wave all the way from the peak of El Point, through the inside beach section of El Hombre before finally kicking out at the pier over a staggering 2.2km's away. 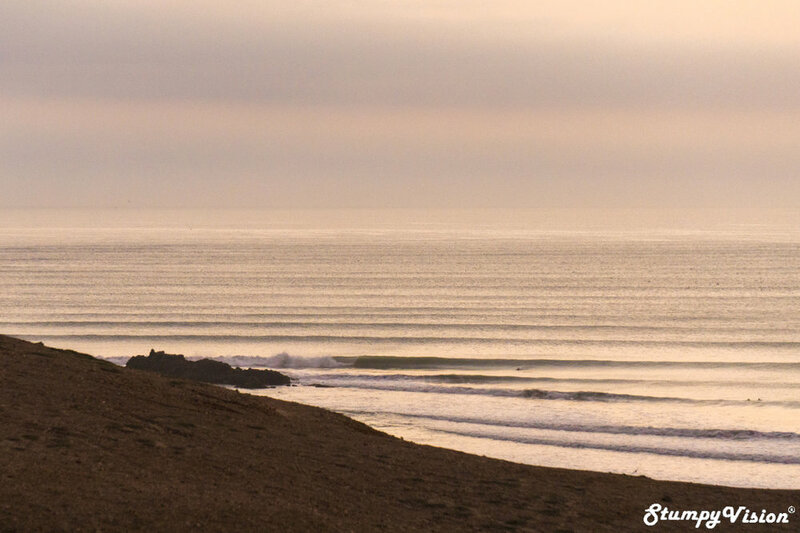 However, these legendary conditions can prove to be more rare than an uncooked Guinea pig in Peru as very, very large perfectly groomed swells and perfect sandbanks are a prerequisite. The total distance from El Cape (the furthermost point) to the pier is around 4km but there is no record of anyone ever riding a wave this far and it is actually deemed impossible to do so. The majority of surfers prefer to sit near the exposed rock outcrop at El Point, the main peak. A good day will see most watermen catching 3-5 separate waves to take them down the point through 4 defined breaks. As mentioned previously it is very rare for the waves to break all the way through except on the highly illusive all-time days. We scored Chicama in the overhead to 1.5 times overhead range and whilst the waves did not break anywhere close to the legendary lengths previously mentioned it was still possible to get waves of close to 600-800 meters in length. True leg burners indeed and you don't exactly find me complaining. 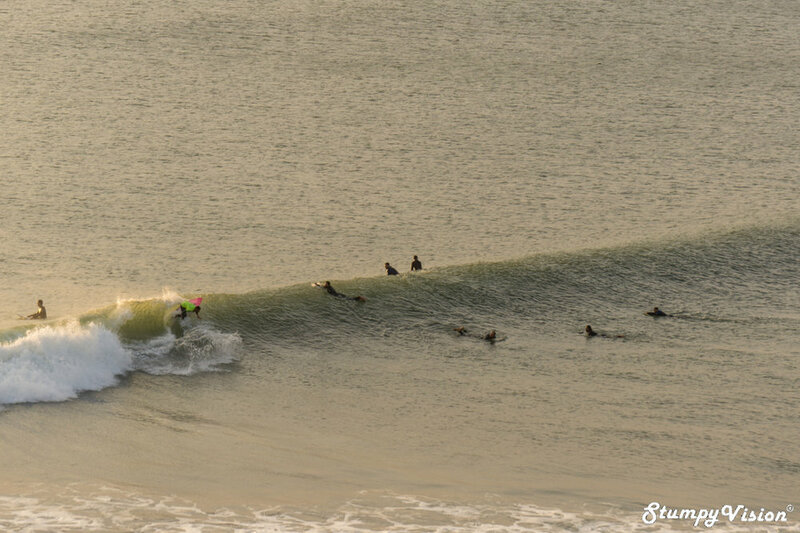 While at times Chicama can be more of a fuller wave I did luck into a few sessions with very racey down the line sections and the very odd barrel thrown in for good measure. In fact the inner beach break section of El Hombre can get very hollow on it's day. Keen? Yeah that's what I thought! Did I mention the wave is located in the middle of a sleepy fishing village? Every man and his SUP wants a piece of Chicama. The question is, would you succumb to the water taxi temptation? In fact, the powerful current is the biggest threat to your wave count and not the crowds. Careful wave selection is a must here as waves will often pinch and close out especially if you are attempting to take off deeper on the El Point section. If you do not make the first section you will ultimately find yourself washed well down the point and at the mercy of the notoriously strong Chicama Rio (River) current. The current here is so strong you will actually find yourself frustratingly moving backwards when you are paddling at full speed. Due to the current holding your position can prove a very fruitless task and this is exactly why a boat to taxi service to take you back out the back after each wave has become a very popular option. Being more of a traditionalist myself, before arriving in Chicama I viewed the notion of boat assistance with disdain but like they say if you can't beat them then join them. My opinion on water taxis was quick to change as it might prove the difference between six waves in a session and 15-20 waves as it would cut out the 25 minute walk back around the point. Boat taxis, love them or hate them, but I would definitely recommend them for the big perfect days where the current is at its strongest and the waves the longest. I would save the walking/paddling for the smaller less perfect days where the current is not as strong. 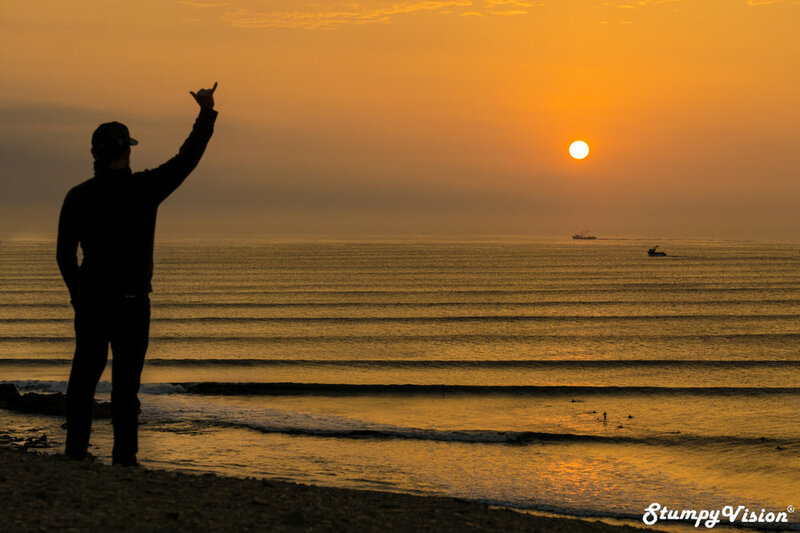 I must admit that I thoroughly enjoyed my time in Chicama and with the town housing one of the best waves in the world there is no surprises here really. I found the town to have a chilled, relaxed and relatively safe vibe. The majority of locals here are very friendly but I gained the impression that you would definitely not want to piss them off. From my personal experience I found the Peruvian people to be of a extremely friendly and welcoming nature and are in fact among some of the most welcoming people I had encountered during my two year travels throughout the Latin Americas. There are a handful of locals who completely rip and have this amazing wave absolutely wired and to be honest with a wave of Chicama's quality you wouldn't exactly expect anything less now would you? At one point I even witnessed a showy local doing step offs into waves from the Zodiac boat although this appeared to be somewhat excessive and overly showman like in my humble opinion but each to his own I guess. The perfect setup in the middle of the Peruvian desert. 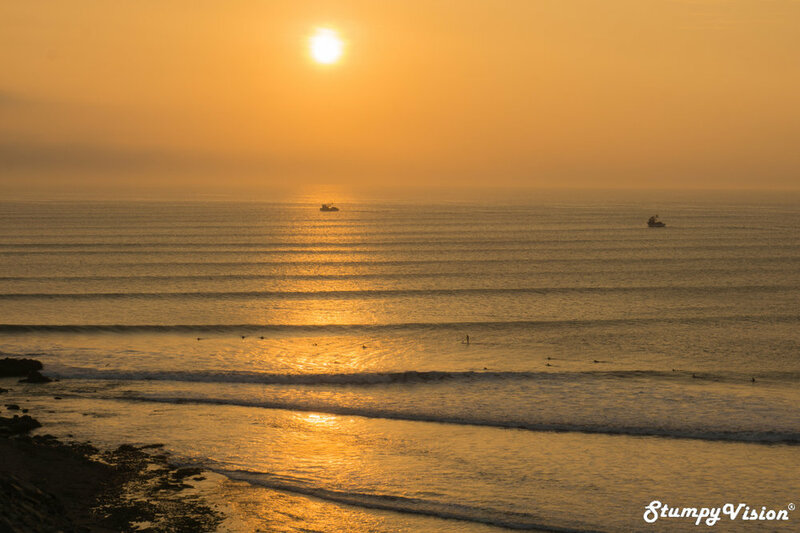 The most ideal time to visit Chicama is between April to September when large South swells march their way up the Pacific coast of South America toward Peru. Chicama prefers larger swells and rarely breaks well on south swells less than 2.5m in size although it will more readily picks up the direct west swell. So be warned, Chicama tends to break at around half the size of the more exposed breaks on the Peruvian coastline. I have had many a friend make the pilgrimage from far a field to visit Chicama only to find it completely flat. You definitely need to time your visit with peak swell season and a solid swell here. Chicama is located around 560km north of Lima and 100km northwest of the city of Trujillo. You can access Chicama via tour operators, guides or if you are on a tighter budget then there are cheaper buses and collective taxis from Trujillo. 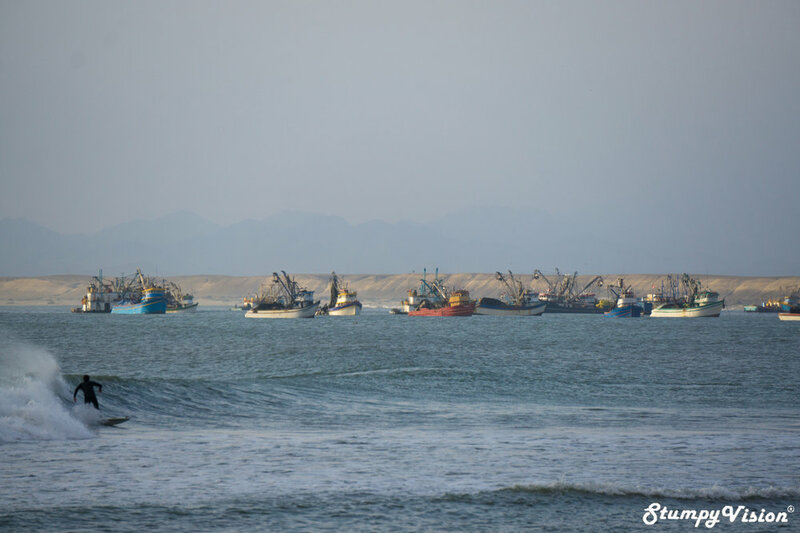 I definitely would not recommend visiting Chicama when there is little swell on the horizon as being a very sleepy fishing village there is not much to do there apart from surf. 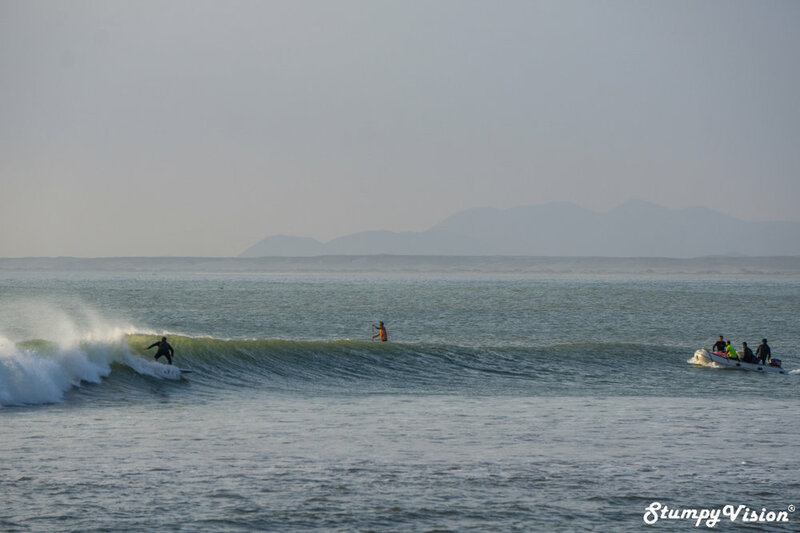 I would say that Chicama is best suited to mid level to advanced surfers as the strong currents, powerful swells and intense crowds do not make it an ideal beginners wave unless the swell size is relatively small. As there is limited accommodation available in the small town I would recommend booking your accommodation before you travel to avoid any unfortunate surprises as the town quickly fills up when the swell is up. There are a number high-end resorts over looking the break and also a range of more budget lodgings/hostels throughout town. Why not? This could be you! Well what's the verdict? 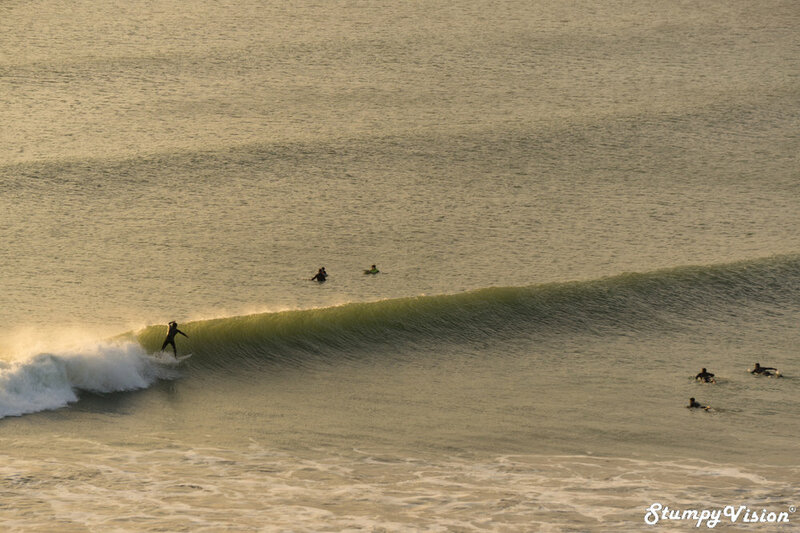 Is Chicama really the longest wave on the planet? We'll to be perfectly honest with you I believe the jury is still out on this one. Perhaps on the biggest and most perfect swells it may be possible to get rides close to the full distance from the El Point to the pier but from my experience and research I would say this would be very rare indeed. Perhaps one day I will have to return to discover if Chicama is truly the longest wave on the planet. 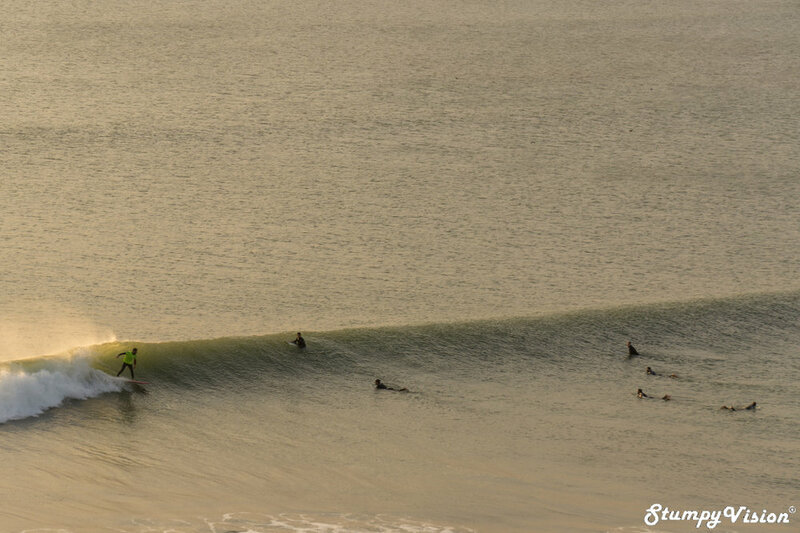 Believe it or not but Chicama is possibly not even the longest wave in Peru. We in fact stumbled across a wave that broke longer and more often than the waves we experienced at Chicama. Where I hear you ask? Well if I told you I would have to kill you! I am not letting the cat out of the bag on this one and although it is no secret I'll let you find this epic wave on your own. 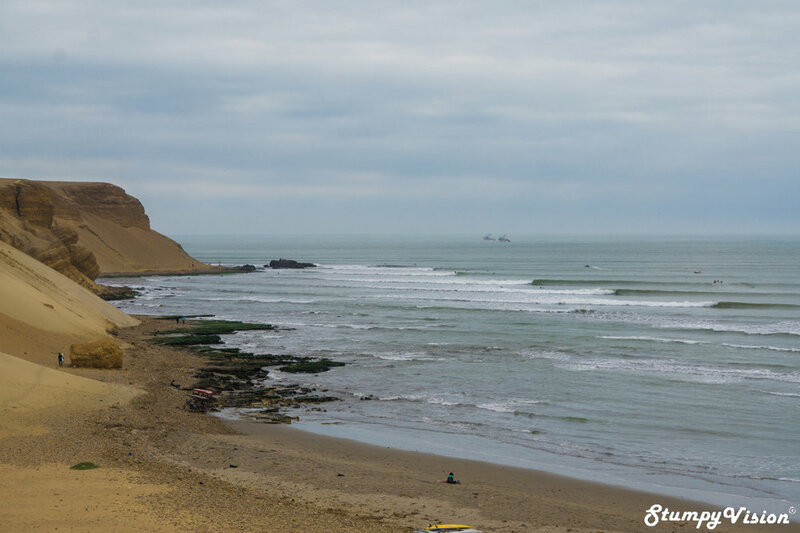 I strongly believe that any serious surfer must make the pilgrimage to Peru and Chicama at least once in their life to discover for themselves whether or not the legend of Chicama being the longest wave on the planet is in fact true. Regardless of whatever the verdict may be I can guarantee that when you visit Chicama and Peru you will undoubtedly have one of the greatest adventures of your life in the amazing, beautiful and wave blessed region of Northern Peru. You can read more about my other adventurers in Peru here and here. What are you waiting for? Get those tickets booked! The end of another perfect day in Peru.